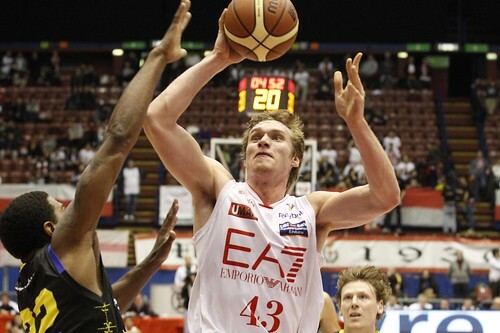 Pallacanestro Olimpia EA7 Emporio Armani Milano has agreed to bring back immediately Leon Radosevic, 23, 2.09. Radosevic will be available to coach Sergio Scariolo in the next few days, in time to be registered before Sunday’s game in Caserta. THE COMMENT – «This is the last move we made to correct the team – Olimpia’s general amnager Flavio Portaluppi said – We did it with great pleasure because Leon is a young player, with a lot of upside and he already was part of our plan for the future. Besides, we were able to follow our coach’s guidelines with no extra-budgets. Players in and players out cost us nothing. We want to thank Radosevic because to facilitate his return from Vilnius he was ready to sacrifice. It was a good will gesture we appreciated a lot”.